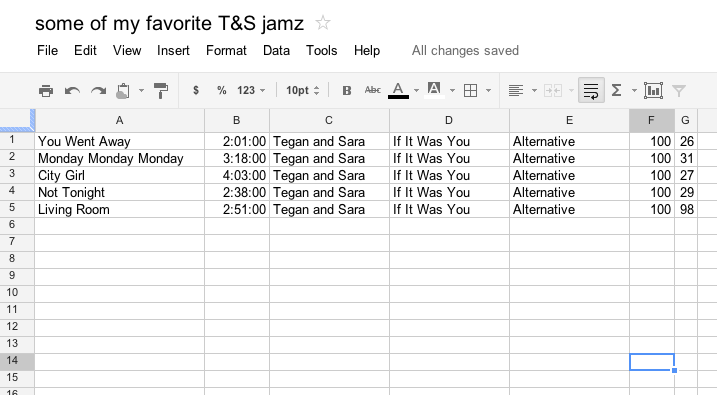 Is there a way to export album/track information from an iTunes music library into, say, a comma-separated values (CSV) file, or another spreadsheet-friendly format? Is there a way to do such a metadata export within iTunes itself, or else might there be a third-party tool that can extract such information from iTunes library storage? Or perhaps you have a quick & dirty homebrew script of your own you could share here? I'm aware there is XML somewhere in the bowels of my iTunes library, and I'm a programming nerd too, but I'm hoping somebody has already invented this particular wheel. It won't label the columns for you, but it'll do the trick quickly. You can do File -> Library -> Export Library and get an XML file of your library metadata. From there it would be a relatively straightforward matter for a programmer to convert the XML data into a CSV, spreadsheet, or database. 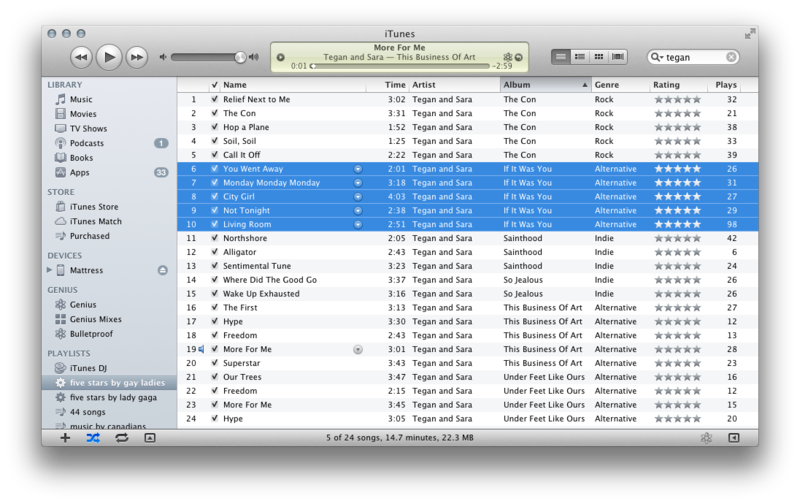 For enhancements/tools to work with ITunes probably the first place to go is Doug's Applescripts for iTunes. There are many useful scripts here. On the page for Exporting Info there is this script that exports track information as a text file. This script will write a discrete alphabetical list of your choice of the Albums, Artists, Album Artists, Composers, Genres, Shows, or Track Names in iTunes to a text file. One more option: exiftool will also extract ID3 tags from music files. One of its many options is to put them in a CSV file, one line per input file. You can also limit which tags it will pull. One way to do this is to make a playlist with all your songs in it. Then you export the playlist as a text file. Next drag the text file into Excel and all your information should be organized. You can then save the excel sheet as a csv. Please consider giving www.iTunesStats.com a try. It is a Visual Basic script I wrote that loops through your iTunes library and provides a text file of all kinds of statistics. It then puts those stats into a .csv file for you to keep long-term. Not the answer you're looking for? Browse other questions tagged itunes music metadata csv .